An estimated 1.5 million tons of Japanese tsunami marine debris generated by the 9.0-magnitude earthquake in March 2011 will continue to travel the Pacific Ocean on currents and land on the shores of the Northern Californian coastline. Debris is expected to arrive on Pacifica and Daly City beaches. (Source: National Oceanic & Atmospheric Administration). 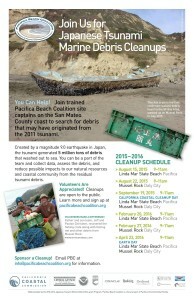 Following success in leading the 2013 Japanese Tsunami Marine Debris (JTMD) Cleanups, the PBC was invited again by the California Coastal Commission (CCC) to lead these important cleanups in 2015-2016 at two specific sites along the San Mateo County coastline: Linda Mar State Beach and Mussel Rock. We’re thrilled to continue our partnership with the CCC, and with volunteers like YOU! to search for and document debris that may have originated from the tsunami. Pre-registration is requested by completing our form below. You can sign up for more than one cleanup. You may also register directly at the cleanup site. What to Bring: Your own reusable gloves, grab sticks and buckets if you can, but we will have some to offer, if necessary. – Be sure to read through our Cleanup Guidelines and Tsunami Cleanup FAQs. 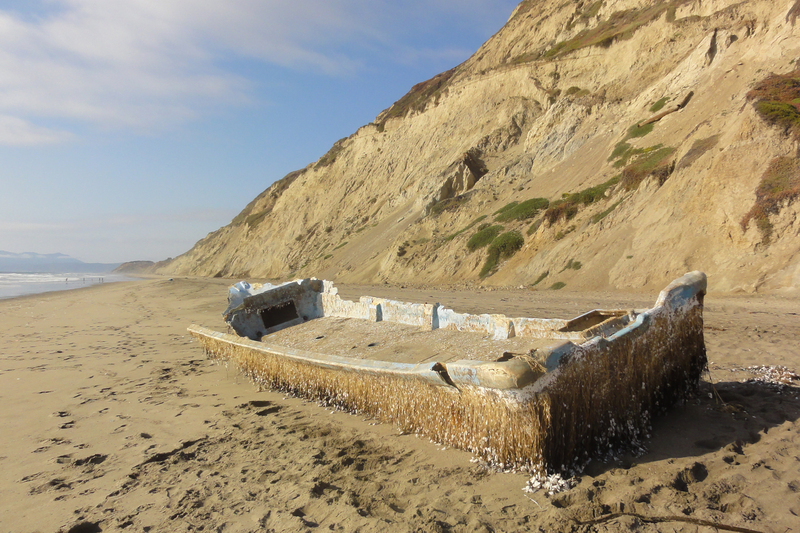 – Read NOAA’s Japanese Tsunami Marine Debris Cleanup Guidelines and Tsunami Debris on California’s North Coast which provides specific instructions by type of potential tsunami debris provided by the California Coastal Commission. – Download this handy Tsunami Debris Field Guide and bring with you to use as an on-site reference while participating in the cleanup. – Download the Official Tsunami Debris Data Collection Card. – We recommend you read more about the Japanese Tsunami Marine Debris Cleanup Program provided by the program’s lead agencies – the California Coastal Commission, as well as the National Oceanic & Atmospheric Administration’s Tsunami Marine Debris website. – If potential tsunami debris is discovered, please report to the National Oceanic & Atmospheric Administration Marine Debris Program. The California Coastal Commission is the official supporter of the Japanese Tsunami Debris Cleanup Program in San Mateo County. 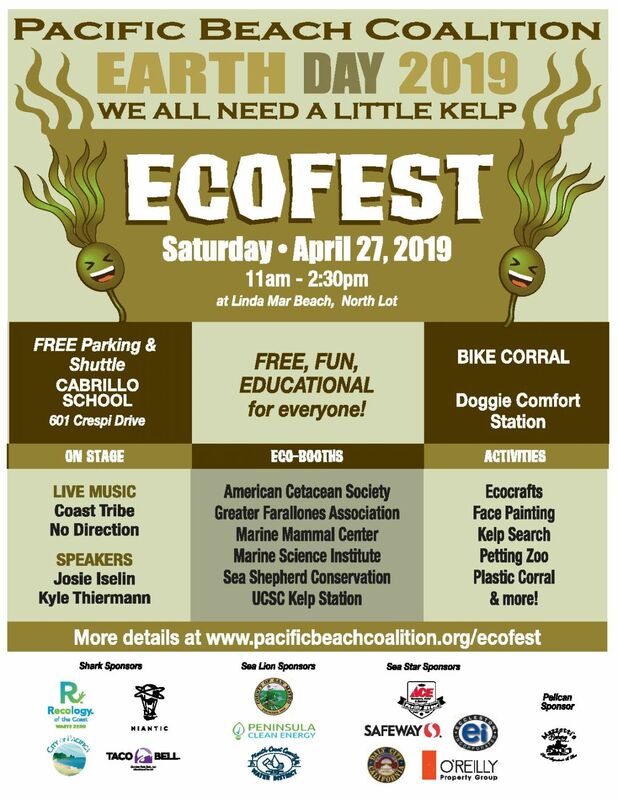 Major statewide sponsors include Crystal Geyser, California Office of Emergency Services, National Oceanic and Atmospheric Administration, Oracle, Orrick, Protect Our Coast and Ocean Fund, Rubio’s Mexican Restaurant, and the California Coastal Commission’s WHALE TAIL® Grants Program. 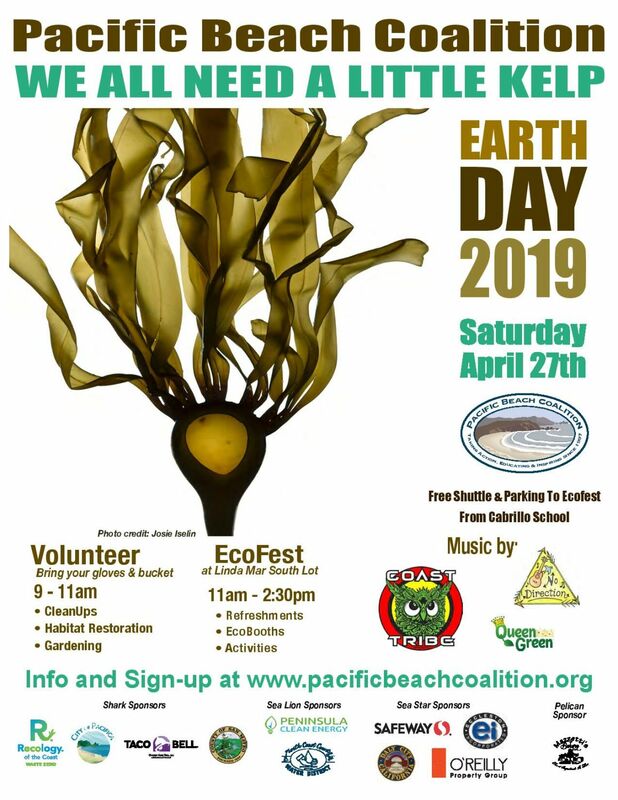 You can sponsor a tsunami debris cleanup led by Pacific Beach Coalition site captains by making a tax deductible contribution at any time of the year. Questions? Contact us directly.